Marsha Walker is the Executive Director of the National Alliance for Breastfeeding Advocacy, Research, Education and Legal Branch (NABA REAL). She is a long time breastfeeding advocate, starting as a volunteer breastfeeding counselor with the Nursing Mothers Counsel in California. Marsha went on to become a childbirth educator through Lamaze International, a registered nurse, and an International Board Certified Lactation Consultant. 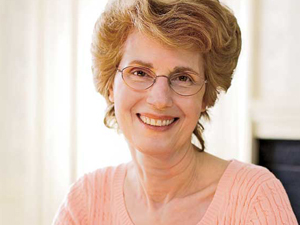 She served on the Representative Panel of Experts in 1985, which constructed the first lactation consultant exam and was one of a number of clinicians on whose practice the exam grid is based. Marsha enjoyed a large clinical lactation practice at Harvard Pilgrim Health Plan, a major HMO in Massachusetts, where she was the Director of the Breastfeeding Support Program for 12 years. She has served on the Board of Directors of the International Lactation Consultant Association (ILCA) for 7 years, including as its president in 1999. Marsha is on the Board of Directors of the Massachusetts Breastfeeding Coalition, Baby Friendly USA, and Best for Babes. She is ILCA’s representative to the US Department of Agriculture’s Breastfeeding Promotion Consortium and NABA’s representative to the US Breastfeeding Committee. She has worked for 8 years to get breastfeeding legislation passed in her state of Massachusetts, which became a reality in January 2009. She is the co-chair of the Ban the Bags campaign, a national effort to eliminate the hospital distribution of formula company discharge bags.